The fourth time “At Yoki Restaurant” popped up on my newsfeed on Facebook, I became quite curious about this Japanese restaurant and sushi bar. Originally located in Station Landing next to Wellington Station in Medford, Yoki has recently expanded into the busy confines of Central Square in Cambridge. Luckily for me, I was able to drive to at the original location in Medford to enjoy the delicious food served at Yoki Restuaurant! Recently I decided to make dinner plans at Yoki with a friend. Admittedly, I was a bit hesitant to try sushi at a new-to-me restaurant because the experience can be hit or miss (and if it’s a miss, you might get physically sick). 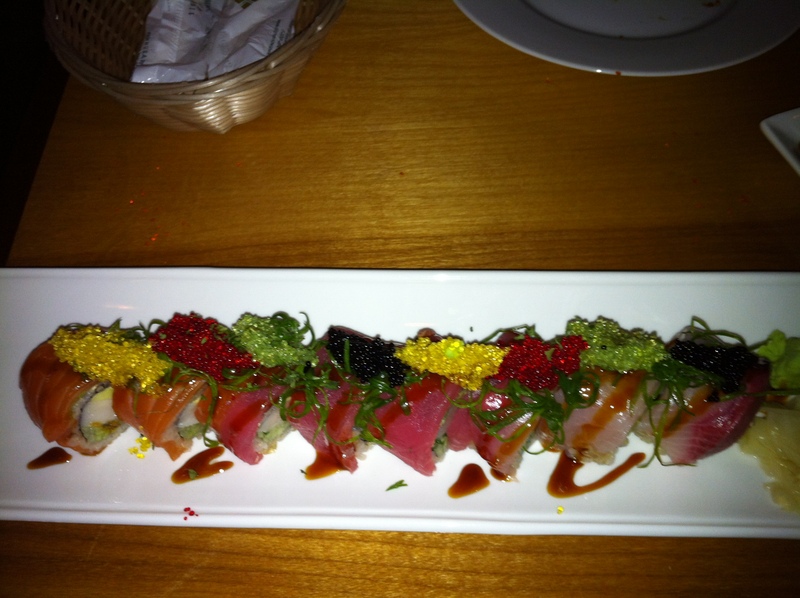 However, as a foodie, I just had to try the sushi and food at Yoki since everyone else I know seems to enjoy it. 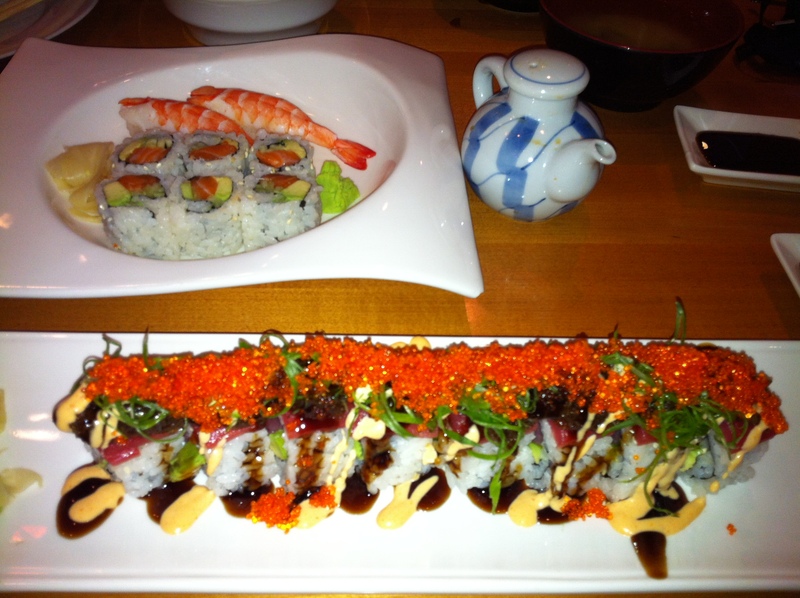 When we arrived at Yoki, we loved the classy décor and relaxed ambience of the restaurant. The menu consisted of both standard fare and more interesting appetizers such as soups, salads, tuna takaki and Yaki-Ika (grilled squid); entrees like teriyaki chicken or shrimp and Hibachi steak; simpler sushi rolls like Hamachi (yellowtail); and specialty sushi rolls. As an added bonus, you can even order brown rice instead of white rice at no additional charge. My friend and I decided to treat ourselves by spending more money on food than we normally would spend (since the prices are a bit of a splurge for our college student budget). Proceed ordering with caution, or your wallet may regret it when the bill arrives. Still, the meal was worth it. To start, we ordered succulent oysters. Then we ordered four maki rolls named after the four main sports teams in Boston: Bruins, Celtics, Patriots, and Red Sox. They were so indescribably scrumptious that I thought I died and gone to sushi heaven. By far, my favorite was the Red Sox maki, which is a tuna, cucumber, and avocado roll topped with tuna, chopped eel, and tempura flakes and topped off with tobiko, scallion, and glazed sweet sauce and spicy mayo. 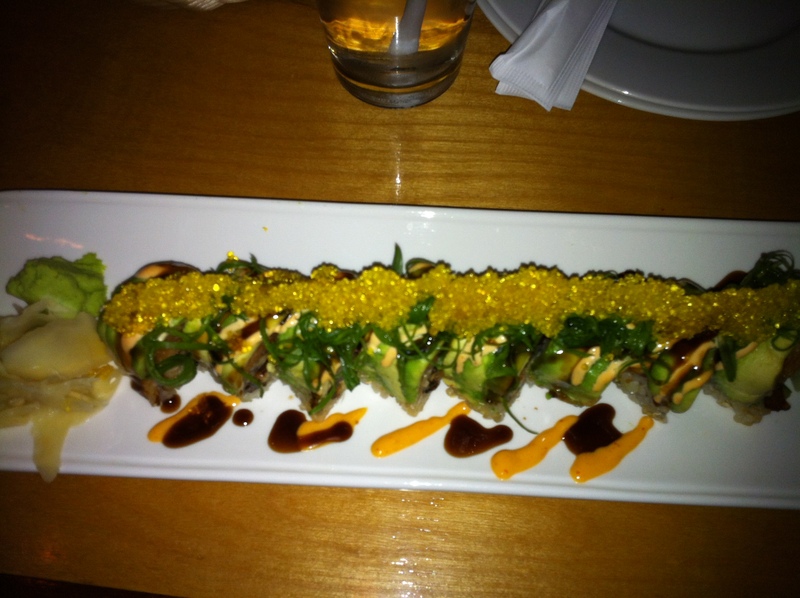 Even though the Red Sox were a fail this year, you can still support the team by ordering their roll at Yoki! 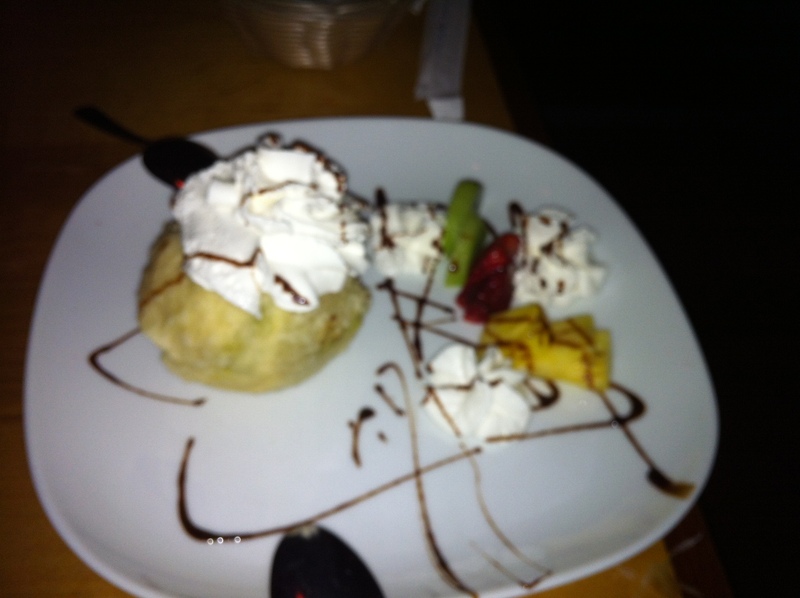 As is customary in most Asian restaurants, we ended our meal with Green Tea tempura ice cream, a great way and dessert to top off a fantastic meal. Looking for a drink to enjoy with your meal? Definitely order the scorpion bowl! An alcoholic concoction served mainly in Chinese restaurants, scorpion bowls contain fruit juices, rum, and brandy (and sometimes gin depending on the restaurant). As much as you might want to imbibe this satisfying beverage alone, it should be shared with others – that’s why it’s served in a large “bowl” with a few straws and an umbrella! If the scorpion bowl doesn’t appeal to you, Yoki even has a separate menu that includes different types of alcoholic and non-alcoholic drinks. The beverage selection includes different varieties of sake, white wine, red wine, beer, cocktails, and martinis. If you have the extra time and change to spare, next time you’re in Central Square or Station Landing, try grabbing a bite to eat at Yoki. You’ll be just as satisfied as I was with the selection of food and beverages – and don’t forget to taste all of the sushi named after our very own Boston sports teams! Thony Tran was a Nutrition and Food Science major in undergrad, and now a first year student in the Nutrition Communication program. He enjoys writing, hiking, and trying out different restaurants.